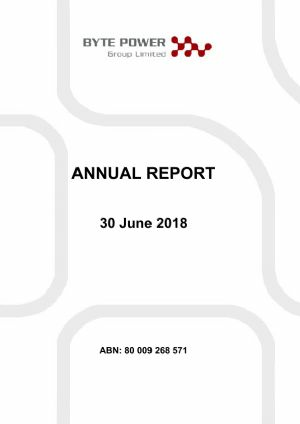 Byte Power Group Limited (ASX:BPG) provides the Company&apos;s Annual Report for the period ended 30 June 2018. On 1 August 2018 the ASX issued a query letter to Byte Power Group Limited (ASX:BPG). Your Directors submit the preliminary final report for Byte Power Group Limited (ASX:BPG) and the entities it controlled at the end of, or during, the year ended 30 June 2018. Byte Power Group (ASX:BPG) is pleased to announce that it has received AUSTRAC registration approval as of today. Coinciding with this AUSTRAC approval, BPG intends to undertake a token generation event for the Byte Power X Loyalty Token. Attached is the investor presentation in relation to the BPX Tokens. 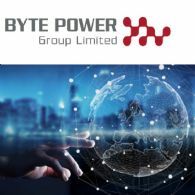 Byte Power Group (ASX:BPG) advises that Mr. Warwick Powell is concluding his consulting services that provide strategic support to Byte Power. In response to a request for clarification from the Australian Stock Exchange, Byte Power Group Ltd (ASX:BPG) is pleased to provide a further update following the Settlement Agreement that has been reached with Soar Labs Pte Ltd as per the ASX announcement dated 24th May 2018. Byte Power Group Ltd (ASX:BPG) is pleased to provide an update on further developments in relation to the suspension of Soar Coins by Soar Labs Pte Ltd (Soar Labs) as last updated to the market by ASX announcement dated 12th February 2018. 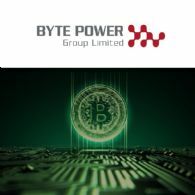 Byte Power Group Ltd (ASX:BPG) is pleased to provide a further update on the progress of the development and implementation of the Cryptocurrency Exchange currently being developed for its subsidiary, Byte Power Pty Ltd.
Byte Power Group Ltd (ASX:BPG) is pleased to announce that it has secured an investor for A$1,000,000 pursuant to the Group&apos;s capital raising exercise. 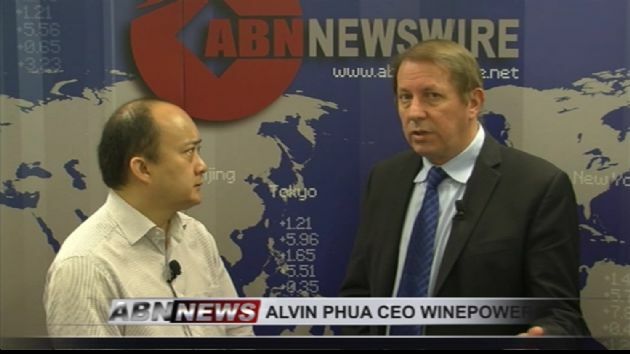 The investment is in the form of 100,000,000 Redeemable Convertible Notes at an issue price of AU$0.01 per Note. The Note Term is 3yrs and each Note accrues interest at 8% compounding daily, payable quarterly in arrears. Byte Power Group Ltd (ASX:BPG) provides this further update in relation to proceedings commenced by Konzept APS in the Supreme Court of Queensland against BPG as previously advised to the market in releases on 13 March 2018 and 27 March 2018. 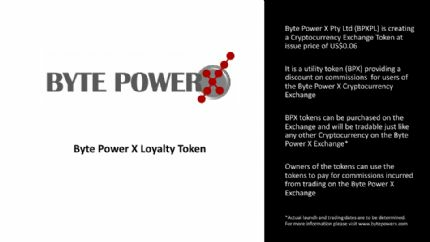 Byte Power Group Ltd (ASX:BPG) is pleased to provide a further update on the progress of the development of the Cryptocurrency Exchange currently being developed by its subsidiary, Byte Power Pty Ltd.
We refer to the ASX Query Letter (Letter) dated 18th January 2018, ASX emails from Rupa Kapadia dated 25 January 2018 and 30 January 2018 seeking clarifications and the questions you have raised in relation to recent transactions completed by both Byte Power Group Ltd (Company) and its subsidiary, Byte Power Pty Ltd (BPPL). Byte Power Group Ltd (ASX:BPG) is pleased to provide an update on further developments in relation to the suspension of Soar coins by Soar Labs Pte Ltd (Soar Labs) as previously notified to the market by ASX announcement dated 3rd January 2018. Byte Power Group Ltd (ASX:BPG) is pleased to announce that its subsidiary, Byte Power Pty Ltd, has entered into a development and services agreement with Noetic Synergy Sdn Bhd to develop and manage its cryptocurrency exchange platform. Byte Power Group Ltd (ASX:BPG) is pleased to announce the appointment of Mr Michael Wee to the Board as an Independent Non-Executive Director and Company Secretary with effect from Monday, 18th December 2017. Byte Power Group Ltd (ASX:BPG) is pleased to announce that its subsidiary, Byte Power Pty Ltd, has entered into a Heads of Agreement with listed Canadian company, Synstream Energy Corp. to be the ICO advisor to Synstream. 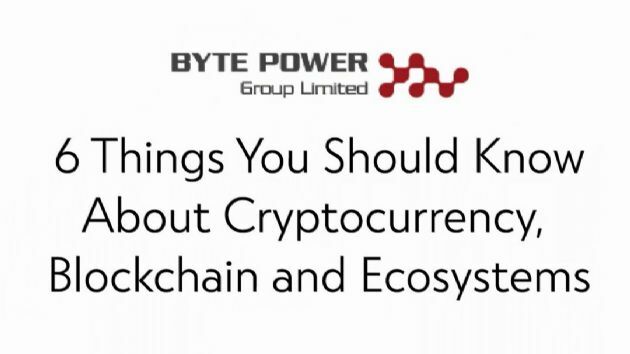 Byte Power Group Ltd (BPG.AX) Cryptocurrency Exchange Advisor, Warwick Powell Explains the Ecosystem to Tim McKinnon in a recent interview. Byte Power Group Ltd (ASX:BPG) is pleased to announce that it has entered into a service agreement with ABN Newswire. 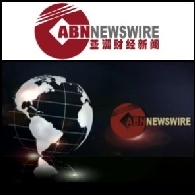 ABN Newswire facilitates the distribution of company announcements to professional platforms, finance portals and syndication of important corporate news to a wide variety of news aggregators and financial news systems. Byte Power Group Ltd (ASX:BPG) is pleased to announce that its 100% owned subsidiary, Byte Power Pty Ltd, has signed a term sheet with Singapore based Soar Labs Pte Ltd, investing US$5M for 49% of the issued capital of Byte Power Pty Ltd.
Byte Power Group Limited (ASX:BPG) is pleased to announce through its fully owned subsidiary Byte Power Pty Ltd the signing of an Exclusive Partnership Agreement with Wimobilize Singapore Pte Ltd. This gives Byte Power Australia the exclusive rights in Australia and New Zealand to sell and implement Wimobilize Big Data solutions. Byte Power Group Limited (ASX:BPG) is pleased to announce its Exclusive Partnership with Wimobilize Singapore Pte Ltd ("Wimobilize") through a BPG fully owned subsidiary, Byte Power Pte Ltd ("Byte Power Singapore"). 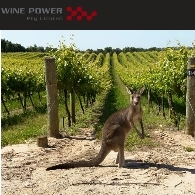 Wine Power Pty Ltd is a wholly-owned subsidiary of Byte Power Group Limited, an Australian Company listed on the Australian Stock Exchange (ASX). Wine Power is focused on exporting premium Australian wines to Asia, especially our own range of 8 Eagles wines from the Barossa Valley in South Australia. Revenues from ordinary activities in the financial year ended 30 June 2015 were $4.848 million compared to $4.320 million in the financial year ended 30 June 2014. Byte Power Group Limited (ASX:BPG) announced its earnings guidance for the 2014-15 financial year. 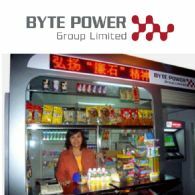 The Board of Byte Power Group Limited (ASX: BPG) provides the following update to the market on the group&apos;s e-Kiosk project in Chongqing City, China. This is a further update to the announcement dated 26 September 2007. 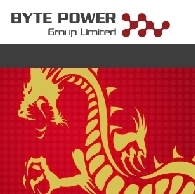 Byte Power Group Limited (ASX: BPG) - Full Year Results for 2006 and Major Acquisition into China - Mr Alvin Phua, Chairman and CEO; Boardroomradio is pleased to announce that Byte Power Group Limited (ASX: BPG) has published an audio file.